When are traditional publishers more trouble to deal with than they are worth? Over the years I have read many warnings from professional authors (I’m a part timer, and always will be, even though I consider my work – non-fiction, fiction and journalism – to all be of professional quality) about working with traditional publishers now that we have an alternative, in indie publishing. Many of us have still sought (and are still seeking) that ‘validation’ of being published by a traditional publishing house. Some of my friends have achieved it with their fiction. Good for them. It’s been lovely to see their books on the shelves in bookstores and even in airports – way to go. But in most cases, it hasn’t lasted past four, five or six books because, guess what, they are what’s termed ‘mid-listers’. 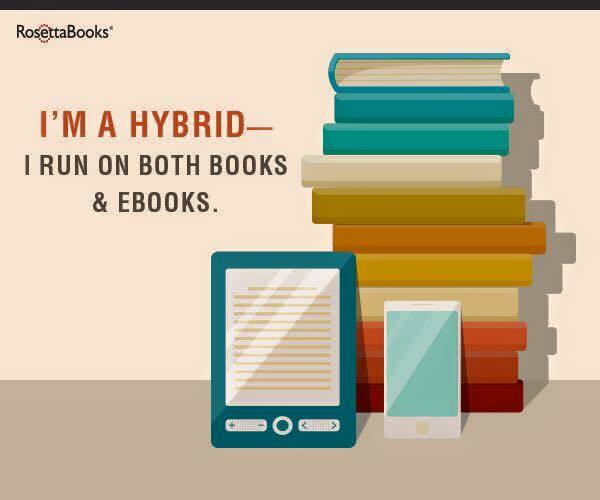 In other words, they don’t sell huge quantities – somewhere around 40 – 60 thousand copies per book. That doesn’t do it for the bean counters at those publishing houses, and despite the support of their editors, who know it takes time to build a following, they are summarily dropped as not financially worth the company’s investment. Ha! What investment? Unless you’re a huge seller, they don’t even bother with marketing – that’s all down to you, at your own expense! I know this: been there, done it. Okay, so my traditionally published books are non-fiction, in a small market, with a small, but respected publisher: J.A. 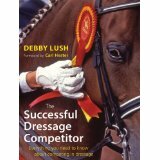 Allen was established in 1926, and has been the premier publisher of equestrian books in the UK for all that time. 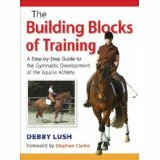 I have two books with them, lovely hardbacks full of pictures and illustrations, the first of which, THE BUILDING BLOCKS OF TRAINING, has earned out its advance and is continuing to sell, while the second, THE SUCCESSFUL DRESSAGE COMPETITOR is approaching that rewarding state. As I understand it, the majority of books published never earn out, so I’m proud of this achievement. So what prompted my rant today? Putting aside the efforts I’ve gone to over the years to market my own books (successfully, in terms of numbers, though definitely not in financial terms if I were to add up all the unpaid hours of work), I’ve just discovered that my publisher has not thought fit to tell me (or any of its other authors) that they’ve sold out to another company and left me floundering in the dark, trying to track down where to obtain copies of my own books! Yes, Allen’s sold out and became an imprint of Hale Books in 1999, but that didn’t produce any changes. Same editors, same offices, just a different name above Allen’s. More to the point, same distributors, same contact points, same account details for authors to use when ordering their own books – which, if you are going to arrange talks, signings, etc., you need copies to hand. I’m never without a couple of each title, wherever I go, as you never know when you’ll find someone who wants to buy one. Apparently we were sold back in November. DO YOU NOT THINK THE PUBLISHER MIGHT HAVE LET THEIR AUTHORS KNOW??? I’ve called the listed number on the most recent catalogue, but that company was dropped as well and were not given details of who would be dealing with any aspect of this huge catalogue of books, or its authors. I followed my nose on the internet and finally tracked down the distributor who has the last 107 copies of Building Blocks, but right now they can’t tell me if I can order with my author discount, nor what that discount will be if, indeed, I am entitled to one! I am awaiting a return phone call, but in the mean time, I am now one very unhappy traditionally published author, with no one I can call to discover if my book will go to reprint or not, or if that’s it. I don’t know if my contract is valid, given that it is with a publisher that, apparently, no longer exists. I am so happy I decided to go indie with my fiction, and in this crazy unstable world of publishing houses merging and vanishing, I’d urge anyone who thinks that traditional publishing is the only valid way, to reconsider. You have hit the nail on the head with my biggest concern with trad publishing: CONTROL. I can hardly stand to think of losing control over my own work. Win, lose, or fail, I’d rather it be on my shoulders, and not because some publishing company pulled this kind of stunt on me. I’m so angry on your behalf, I could SPIT! And I’m sure that’s not even close to how YOU feel. It’s a betrayal, is what it is. You’ve been with these people all this time, IN GOOD FAITH, and they’ve screwed you over. It becomes more and more clear to me daily that AUTHORS are the least important people in the minds of the traditional publishing industry. I could say a lot more on these dinosaurs, but I’ll just add, as a group, they are a dying breed, and they’ve brought it on themselves. Oh, yes, some will survive, and print books will always be an option, I suspect. But it ain’t the same, for sure. I’d rather take the reins in my own hands and run the course myself. (See what I did there?) I’ll be sending you loads of love and well wishes, as you try to sort this all out. And just know that even on the other side of The Pond, someone is cheering you on! And thanks for the support; I was speechless when I discovered this, and I’m still struggling to believe it – how can a publisher do this and NOT tell their authors? Okay, said that before. Going to keep on saying it too. Flabbergasted. Pissed off. Many other things I won’t put in print. One thought. I’m sure you’ve heard the old saying that when a door closes, a window opens. It’s old, because it is so often true. So, when you’ve vented all your totally understandable anger and cried all those frustrated tears (You did shed some, right? I would have! ), take a good look around for that open window. I’ll bet it’s there, somewhere. Have faith in yourself, and try to see the new possibilities. Yours is not a singular experience, sad to say; regrets typically abound in the tradpub experience. With every aspect of a title’s production being learnable or easily outsourced these days, it’s becoming more difficult to justify the involvement of a publisher. Sadly for books like mine, hardback and with lots of photographs, it’s still a more viable option than going it alone. I’m sure it will get easier with this type of book as technology keeps advancing, but it isn’t quite there yet. I do hope by the time it does, that I have all my rights back and I can re-publish them myself; hence the qualms about my contract. Thanks for dropping in, Dale. As someone who was traditionally published, I can say that I sold many more books that way. But the experience was at times…challenging. I switched genres and decided to to my own thing. I’m currently enjoying the writing and publishing experience a great deal, it’s fun to have control over your books. And unless you’re blessed with a big marketing budget by your publisher, you’ll have to promo your books yourself anyhow. …Can’t believe the stunt your former publisher pulled on you though, very bad manners. Hi Andy, thanks for dropping in. Agreed, with tradpub many authors can sell far greater numbers of books, but that doesn’t always equate to more income, with the tiny percentage we are allowed to earn from each sale (once we’ve earned out first, of course), so I’m very happy that the indie revolution has happened, even if it is damned hard work! I’ve always liked being my own boss, so it suits me well. Sounds like it’s suiting you too. So sorry you are going through this.i’ve been an indie since 2012, (was with a small-press prior) and am a founding member of a publishing consortium, which is the perfect situation for me. Thanks, Connie. It is infuriating, but as I said in one of my comments earlier, I’m hoping that one day I will be able to re-publish these books myself (when the technology for this type of book gets easier), so I guess if my contract becomes null and void, it might be a good thing in the long run. In the mean time, I may consider buying up a large chunk of the remaining stock – after all, I seem to be better at selling them than any publisher! I like the idea of a publishing consortium though; mutual benefits, and authors supporting authors. Good situation. This is like selling and closing the company and not telling the employees. It doesn’t make sense. Who do they think they are? Obviously they think they are above their authors, so much so that they don’t feel the need to inform them. I hope you can reach the new owners of this company and they either reprint your book or relinquish you from your contract so you can either take it to another publisher or publish it yourself. Thanks for the support, Diane, I think it is a perfect example of how little publishers consider their authors to be worth. I’ve seen other long time pro authors warning this is the case, just hadn’t experienced it until now! Ya, here’s my thought Deb: I know some author’s have a ‘dream’ of becoming traditionally published. They should first look into what ‘the dream’ entails, such as what you have found. Many unknown Indie’s have to prove a lot with platform and marketing before they’re even taken on by the trads. My stand is, if I’m doing all the work, I’ll keep my royalties, period! I have no desire to query away my books. If someone likes one of them that much, they’ll come to me, and maybe we’ll talk. Oh, and by the way, I’ve read from many Indie’s who got approached by trads that they make deals in print books, but keep their ebook rights. Exactly what I’d do if someone wants to talk shop with me, lol. Deb, I do understand the dream of being trad published, having your books out there in the shops (it’s been quite a kick to see mine on a few shelves), and selling in much larger numbers than the average indie, but I have to also agree with you – I prefer to be in control and to keep my own income. Yes, doing it so they only have the print rights is a great way to go, if you can get that deal. Yes, I will be investigating the possibilities, though unfortunately the equestrian crowd don’t tend to be very ‘gadget’ minded, and ereaders are thin on the ground in that world. Probably true, for now till they latch on.